This week for FN Dish's Sensational Sides, our side dish had to be something that could be assembled without any cooking and/or baking. Since the weather has FINALLY been getting warmer and my basil plant has actually been growing (yay! 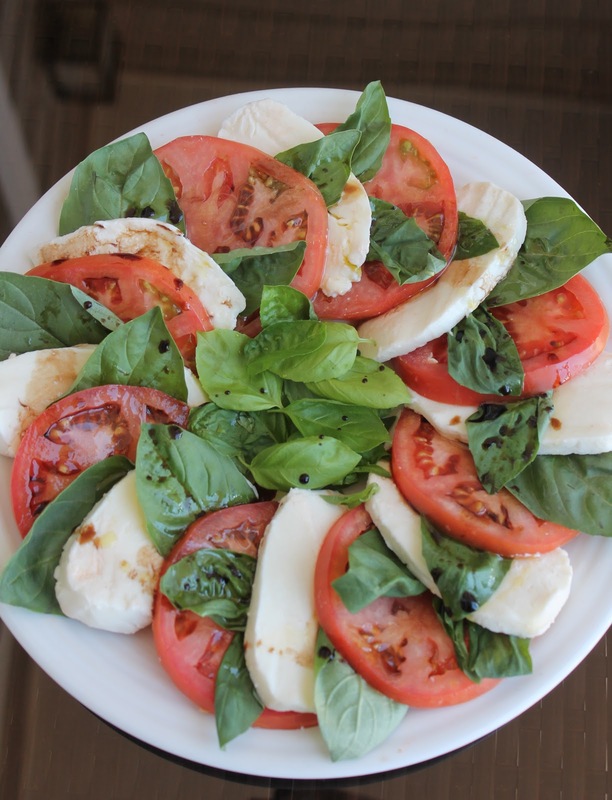 ), I decided to put my fresh basil to use and make a simple, yet delectable, Caprese Salad! Caprese salad is just so light and so refreshing that it is hard to resist! 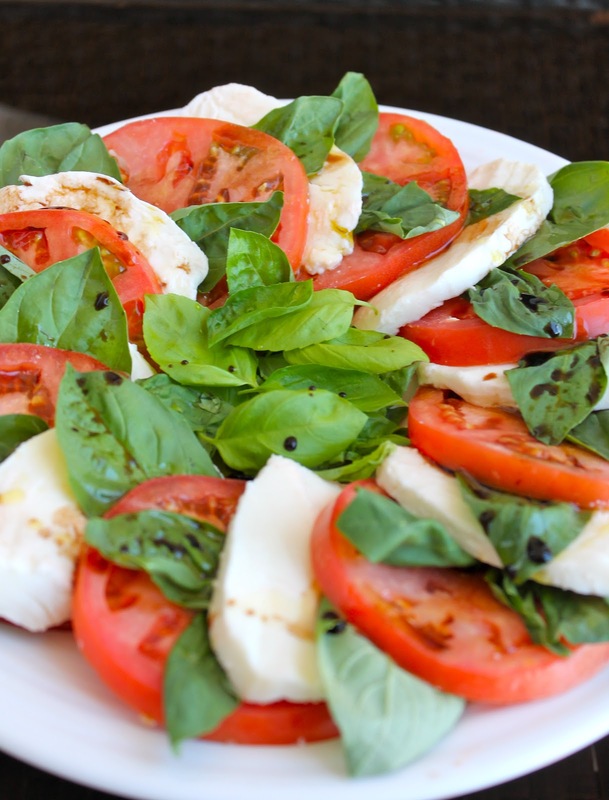 The fresh basil with the thick slices of mozzarella and tomato... mmmmm. 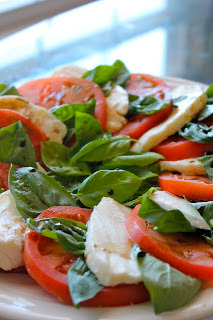 Oh, and the olive oil and balsamic drizzle just add that extra touch of greatness! On a plate, alternate layering the mozzarella and tomato slices. Then, tuck basil leaves in between each layer to add color and flavor. 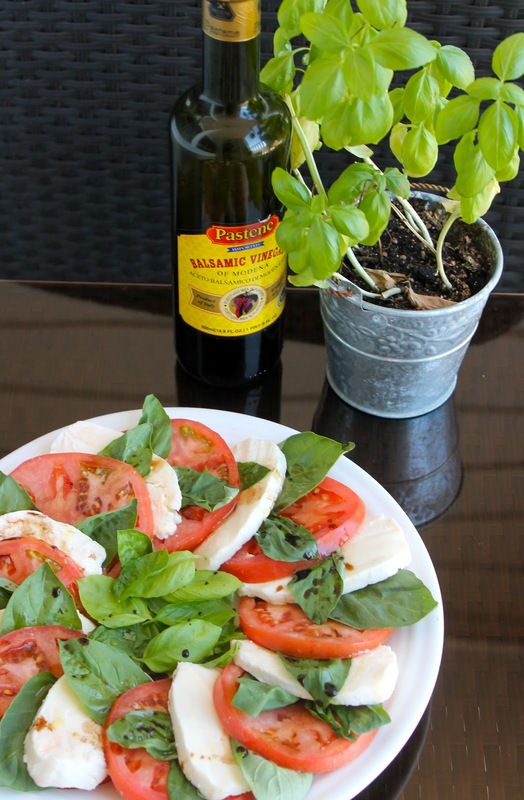 Drizzle lightly with olive oil and balsamic vinegar. You can also make a balsamic reduction, which requires heating about 2 cups of balsamic vinegar for approximately 15-20 minutes until it reduces and begins to thicken. This is optional and entirely up to you though. Since this was a no-bake challenge, I just drizzled the balsamic right over the top! Add a little sprinkle of salt and pepper if you wish, and dig in and enjoy!